Starting a family doesn’t always happen as naturally or as easy as we expect. The continual disappointment that comes every month as you find out that current methods aren’t working and heartbreak you can face when you find out there are significant infertility issues can be hard to bear. Maybe you’ve had a history of miscarriage, or have a condition like Polycystic Ovary Syndrome (PCOS) or endometriosis that is making conceiving difficult. Perhaps extended use of the contraceptive pill has affected your ovulation, your partner is having sperm difficulties you are both late in your fertile years. With many fertility programs, like IVF being so expensive, they can seem impossible to afford above your other financial commitments, leaving you feel like it will never happen for you. But that isn’t the case at all. Conceiving isn’t an easy process for everyone and sometimes nature needs a little helping hand. At Resolve Health and Wellness we offer a number of different programs that can are designed to help couples dealing with unexplained infertility, irregular cycles, no cycles, polycystic ovary syndrome (PCOS), endometriosis, blocked tubes, poor egg quality and poor sperm health. We also run fertility seminars once a month to help couples understand the common issues of infertility and how they can be overcome. To find out about the next Fertility Seminar simply contact us to find out more. 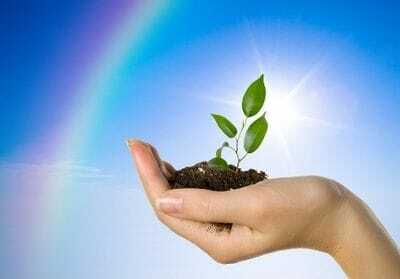 Homeopathic fertility program At Resolve Health and Wellness we follow the internationally renowned Liz Lalor Homeopathic Fertility Program© that has a pregnancy success rate of 87% within 4 cycles. Started at any stage of the menstrual cycle, the program is designed to help the female body produce the fertile conditions necessary for conception and consists of a series of four or five natural homeopathic remedies taken by the woman at various times during her menstrual cycle. Her male partner is also prescribed a homeopathic remedy and supplements. Our qualified herbalists formulate patient-specific herbal combinations that can be described as tinctures, tablets, ointment or creams. All herbs prescribed at Resolve Health and Wellness are of the highest quality and based on the latest clinical findings. We also treat infertility issues with Bioresonance Therapy, a non-invasive, gentle therapy that uses biophysics - the physics of your body to reduce your toxin and stress load, balance your hormone levels and restore your body's ability to heal itself. This is done using electromagnetic waves and frequency patterns our state-of-the-art BICOM machine identifies normal healthy cells and unhealthy viruses, bacteria, allergens and toxins. It then strengthens the healthy waves to increase normal functions, and turns unhealthy waves upside down with an electronic mirror circuit to cancel out the harmful waves that were stressing yourbody. We also provide a ‘healthy pregnancy’ program that involves the use of supportive treatments during each trimester of your pregnancy. Working together with your doctor and/or midwife, we design the treatments around your current health needs, which may involve supplements, botanical medicine, homeopathic medicine and flower remedies. 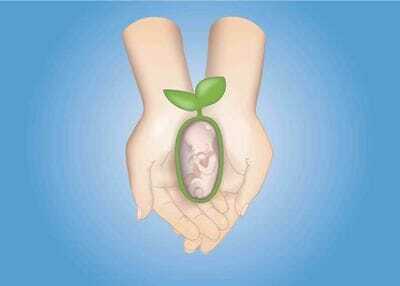 Homeopathic medicine is also utilised for labour induction in the case of overdue pregnancies. Our ‘healthy pregnancy’ program also assists in the provision of necessary nutrients that are required for the healthy development of your unborn child and can also help with a variety of issues associated with pregnancy including breach babies and gestational diabetes. Find out how we can help you achieve your dream of starting or growing your family, by making an appointment today on (07) 5525 2211.